North Devon, rich in spectacular coastline, is as diverse as it is beautiful. Beautiful farmland with chocolate box villages hidden amidst rolling hills and narrow lanes, here you will find some of the most unspoilt countryside in the UK. 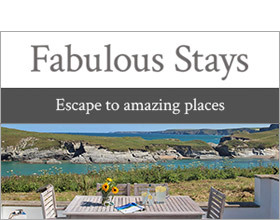 For those looking to embrace the outdoor life whether it’s surfing the Atlantic waves, strolling through fields of bluebells or visiting some of the region’s best pubs whilst walking the coastal path, North Devon has something for any couple or family holiday. Famous for its incredible expanses of soft sandy beaches and excellent surfing conditions, surfers and families flock to this scenic coastline each year. Award winning beaches such as Croyde, Woolacombe and Westward Ho! offer a variety of coastal activities, whether it’s creating a sandcastle masterpiece, flying kites along the scenic coastline or venturing into the Atlantic waves to surf, dive, kayak or swim.